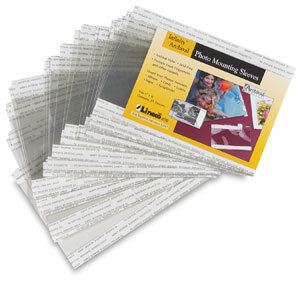 Made from acid-free, archival Mylar, these sleeves are great for protecting your photos from fingerprints and other preservation hazards. Each sleeve has an adhesive strip on the back for easy mounting. ® Lineco is a registered trademark.® Mylar is a registered trademark.